A hot topic in the supply chain and grocery industries is the increased demand for organic food and natural products. According to naturalnew.com, “between 2014 and 2015, the amount consumers spent on packaged organic foods climbed from $12.8 billion to $13.4 billion.” The demand for fresh products right off the farm is rapidly growing due to the popular trend of having a healthy and wholesome lifestyle. However, consumers are also demanding stores have what they want when they want it, and that it is at its peak of freshness. But, how can the fresh food industry meet these demands? One way is by implementing a Demand Driven Replenishment for Produce (DDRFP) system. 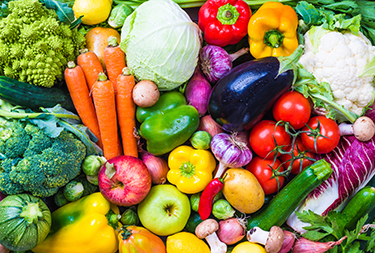 While an excellent produce manager is irreplaceable, there are not enough highly-qualified produce managers for larger grocery chains to fully capitalize on the knowledge obtained by its best produce managers. DDRFP is not designed to eliminate the position, but instead to elevate it to a district-level position, where the most stores can benefit. A DDRFP system orders produce based on near real-time, point of sale (POS) data and input from the district- and store-level managers in order to take into account seasonal produce displays and store specific opportunities. The system tracks inventory levels and calculates the amount needed in order to restock the store with optimal quantity for sales and freshness, as well as minimal shrinkage. Another issue that consumers run in to is the varying produce assortments at different stores within a chain. This is sometimes caused because a manager may not order a certain item because they believe it isn’t selling well enough; on the other hand, there will be a few customers that are still in need of that item and it’s never in stock. In order to avoid these situations, the DDRFP system adapts for every order cycle while the district-level manager in collaboration with the store adjusts for special circumstances. This solution provides visibility and expert order support at the store level which helps grocery stores satisfy consumers with a full assortment of fresher products, increase produce managers effectiveness while saving money and tightly controlling shrink. The future of fresh food in the grocery industry is here. However, one of the challenges to digitizing the fresh supply chain is convincing employees to change “the way things have always been done.” The first step is to educate individuals throughout the supply chain on the benefits of DDRFP. With the implementation of this system, grocers will be one step closer to revolutionizing the fresh produce industry satisfying consumer demand and ultimately increasing profits for both the grocer and the farmer. We are experts in synchronising your business to actual demand -- by always making your product available to the consumer, at the right place, time and quantity. We are Neogrid, a company focused on automatic supply chain management. Opened in 2016, the Neogrid Blog is maintained by Neogrid employees who are passionate about information technology, software and exceptional supply chain management. This space is used to reflect and discuss everyday issues of business, analyze trends, share success stories and perhaps generate more business from our readers!